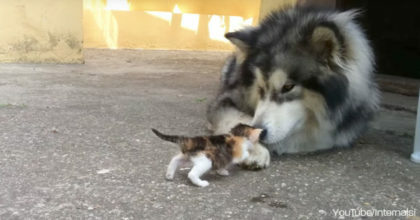 These sweet kitties all have the same, very important thing in their lives that ties them together…amazing cat dads! And for Father’s Day, we can’t help but recognize the important men our cats have in their lives. This complication of cats and their male humans is the cutest thing to watch – you can’t help but laugh at some of these moments. What a bunch of sweeties—SHARE this video to celebrate all cat dads out there! 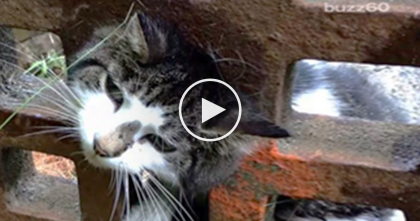 They Saw A Cat’s Head Trapped In A Grate, But Then They Noticed She Was Barely Breathing…OMG! 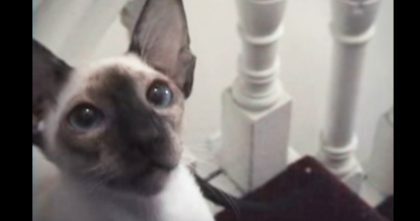 Human Throws Kitty’s Favorite Toy, But Then… Now Watch How The Cat Reacts, HILARIOUS!! 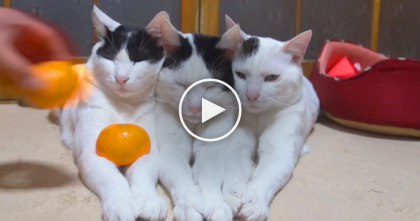 Kitties SOO Relaxed You Won’t Believe It’s Real… Just Watch What Their Human Does, WOW.